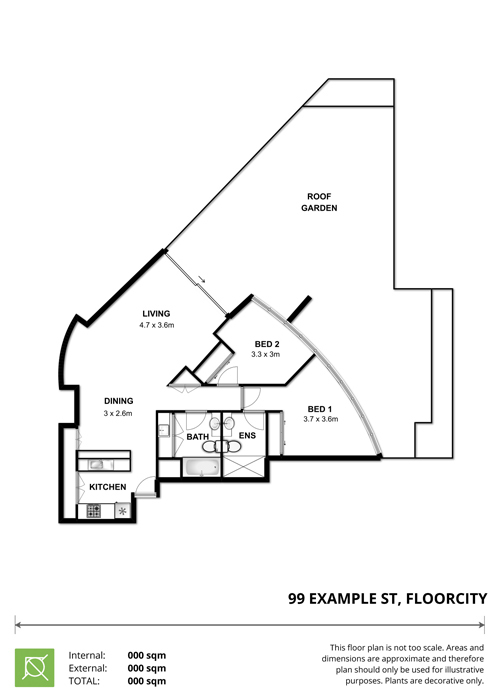 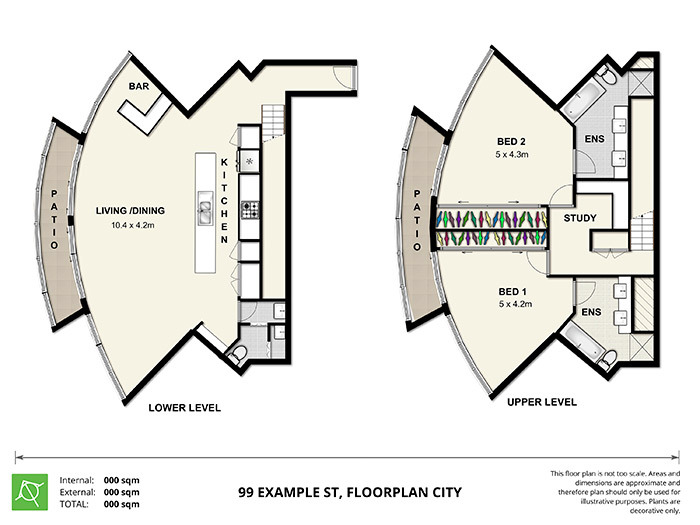 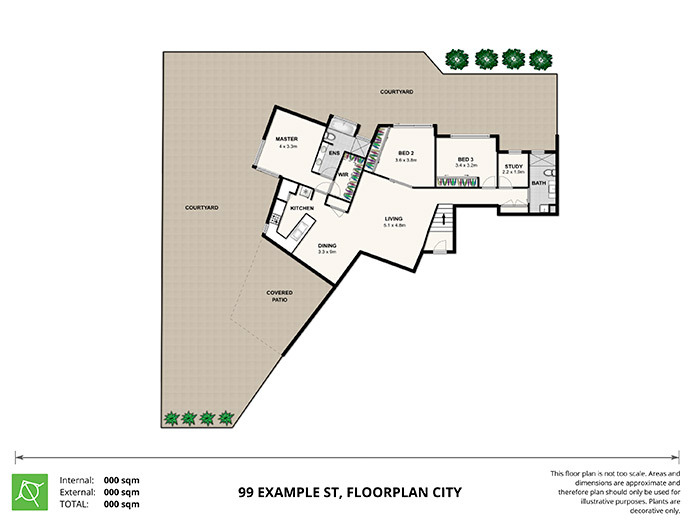 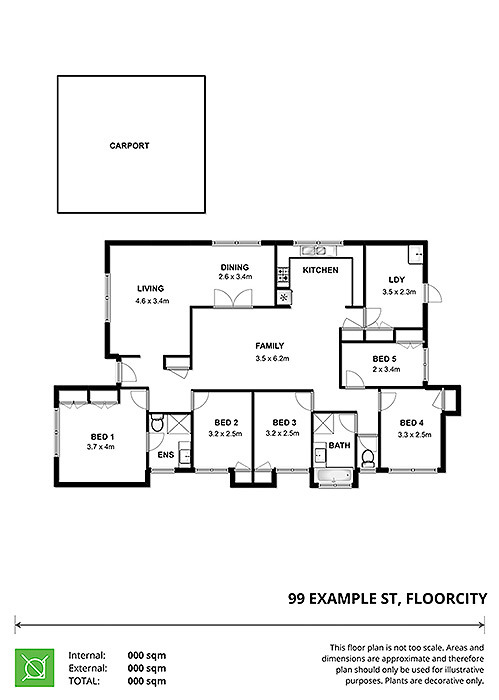 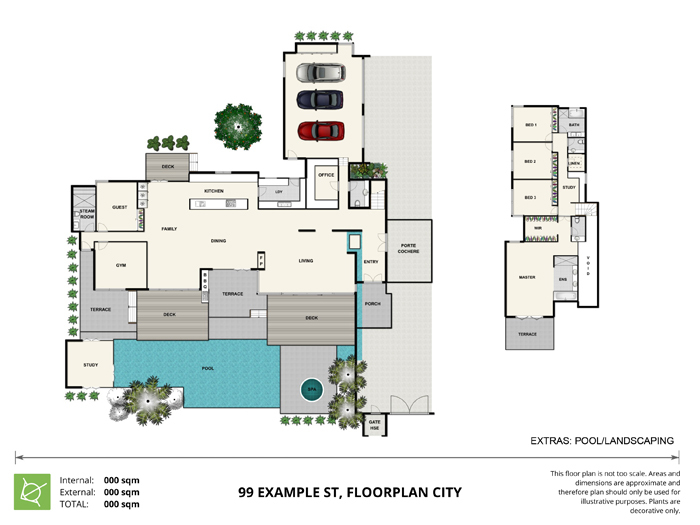 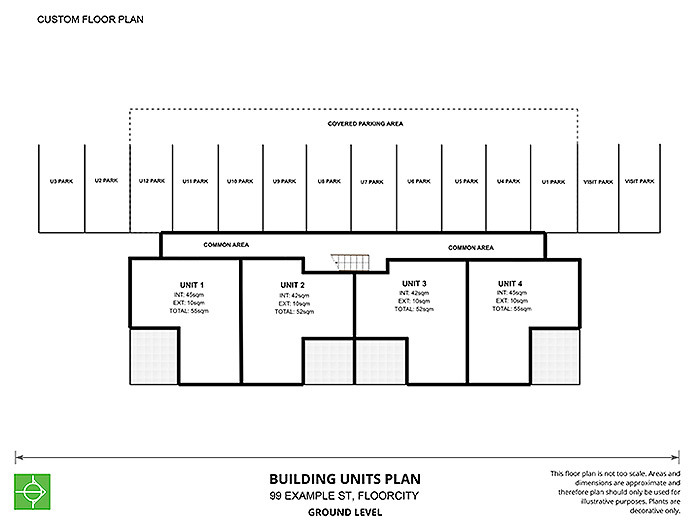 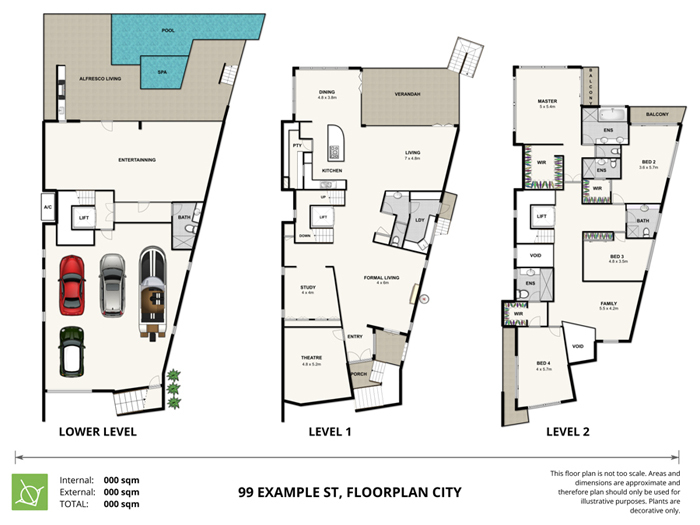 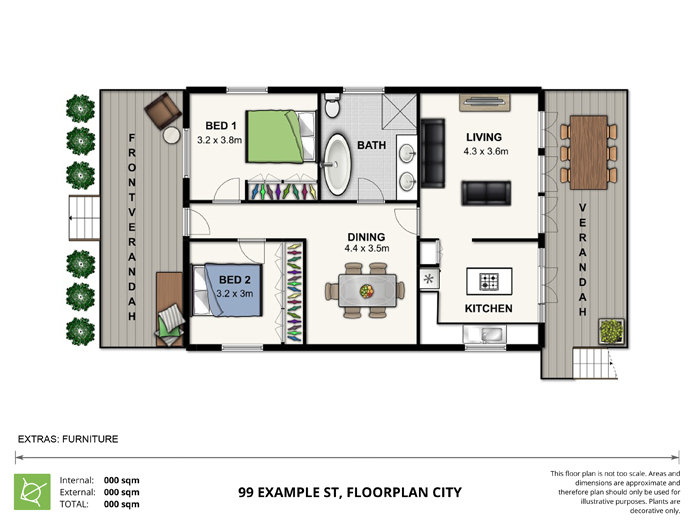 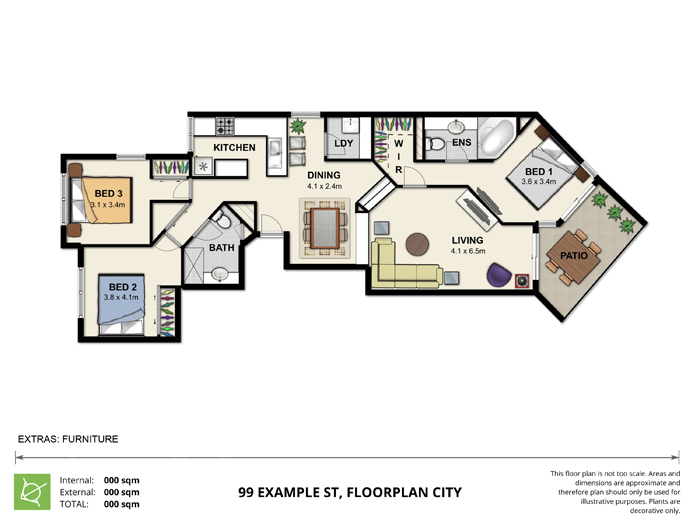 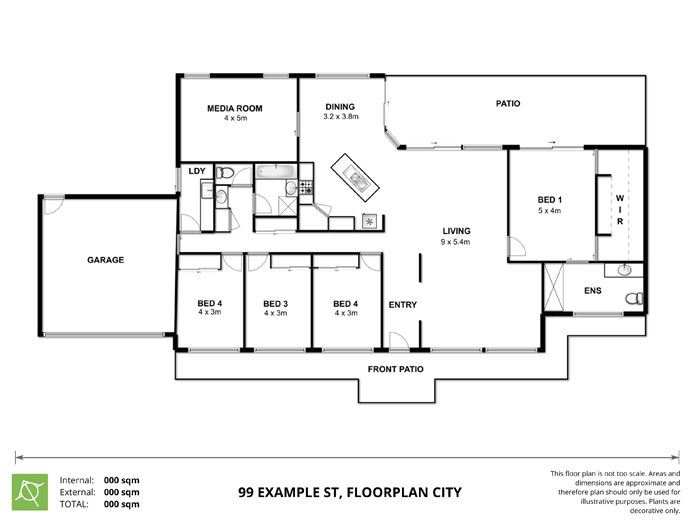 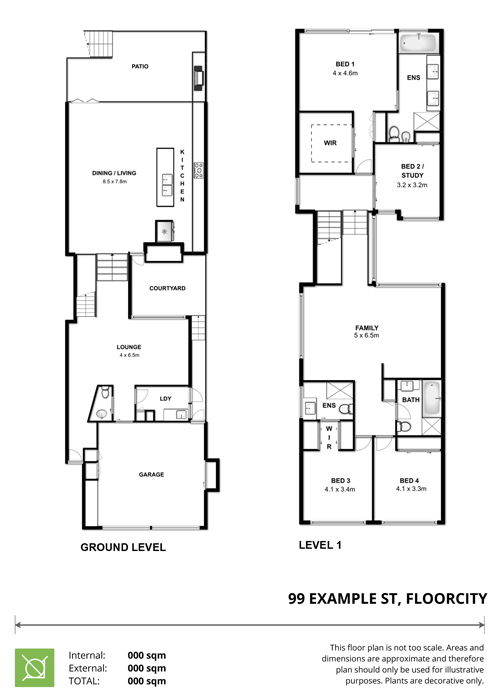 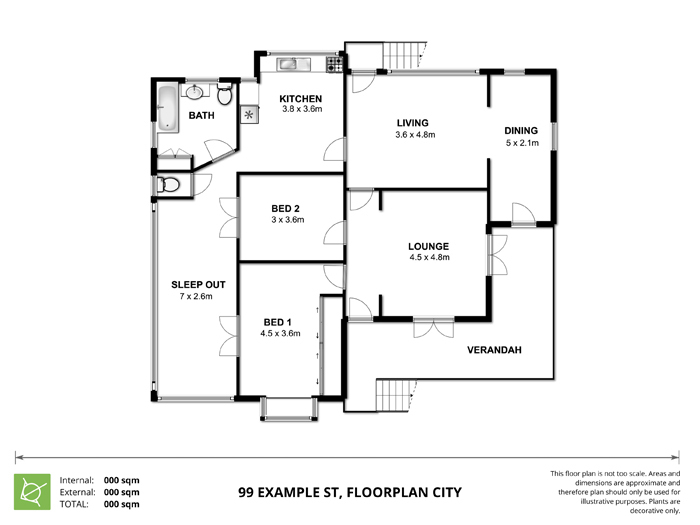 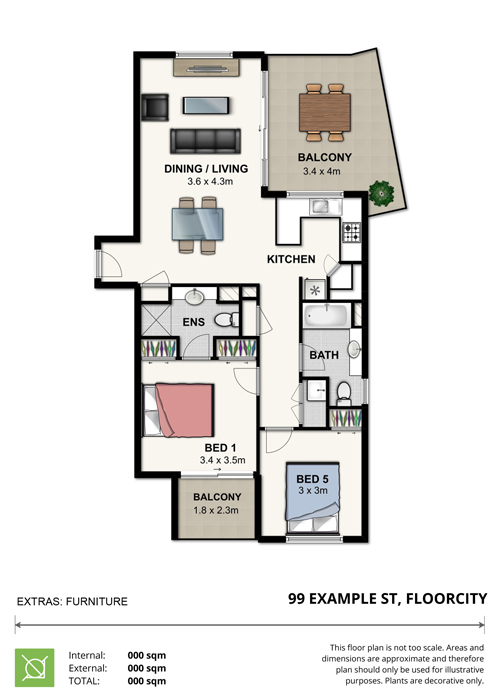 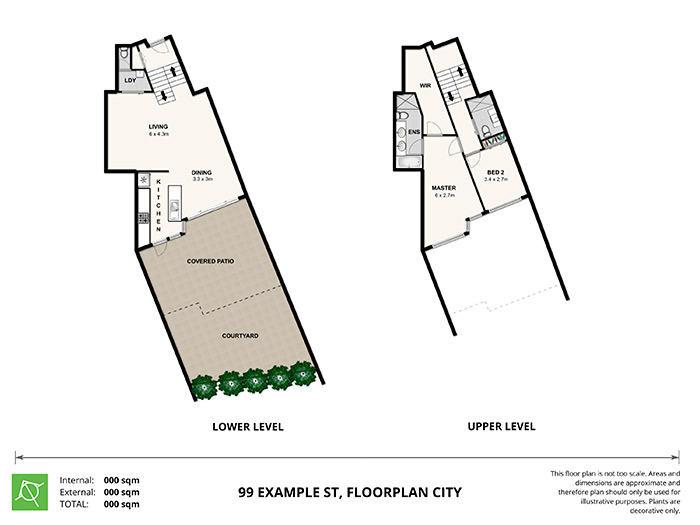 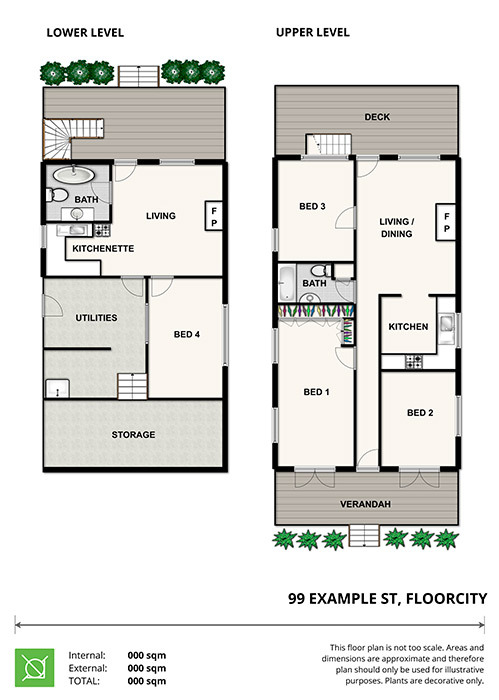 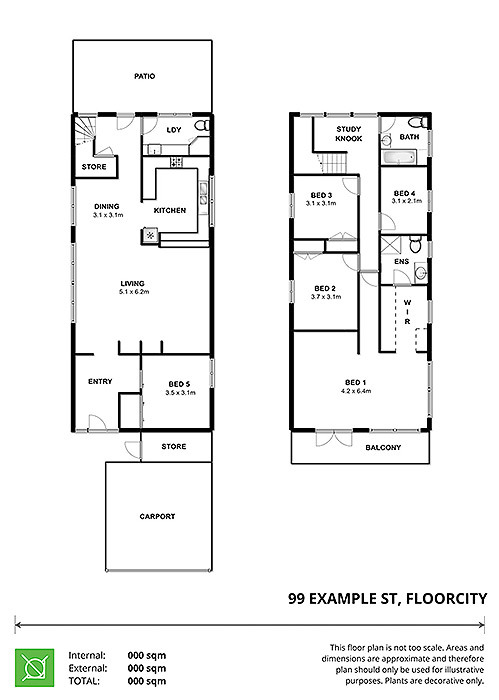 Our visually appealing colour floor plans are designed to impress. 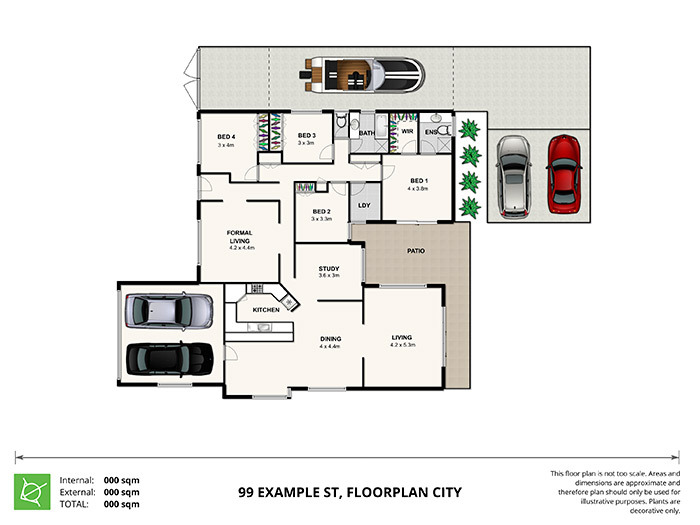 Plans include patio, decks and bathroom hatching, full colour cars and decorative plants. 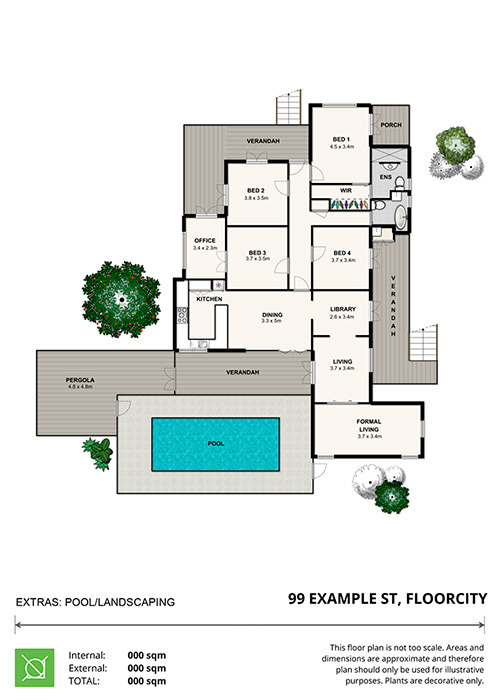 Furniture and pools/landscaping are available as optional extras for those who want to create that additional special effect. 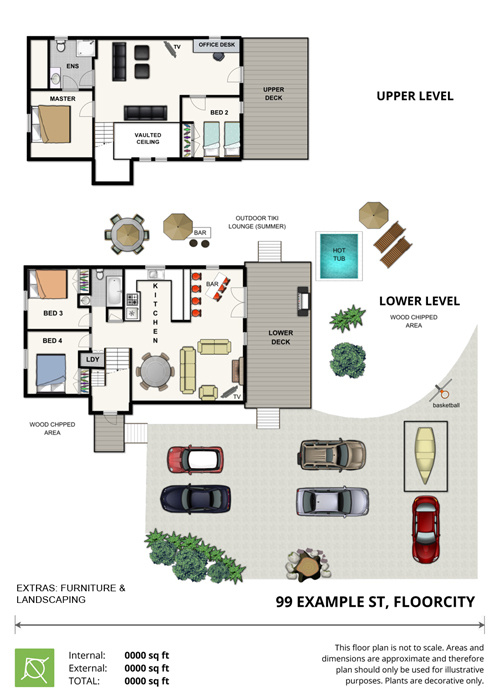 All plans are available in portrait or landscape orientation. 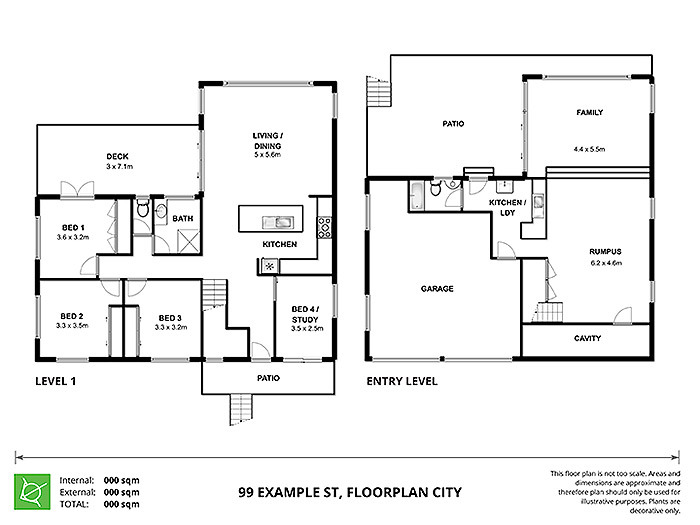 Black and white floor plans are suitable to the budget conscious or those who prefer a more traditional look. 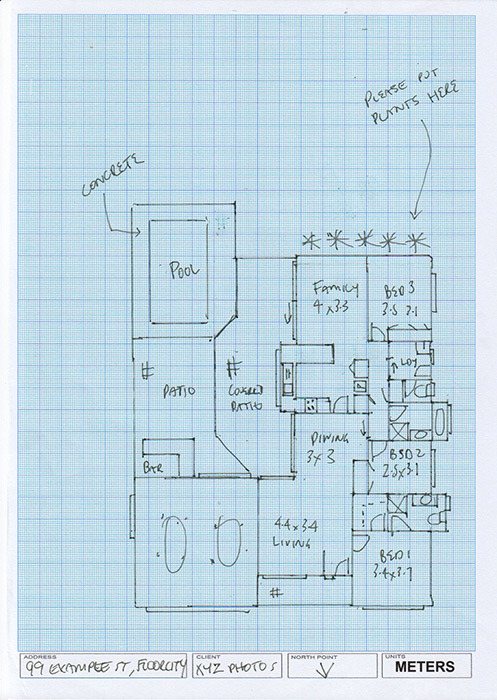 Plans do not include patio, decks and bathroom hatching, cars and decorative plants. 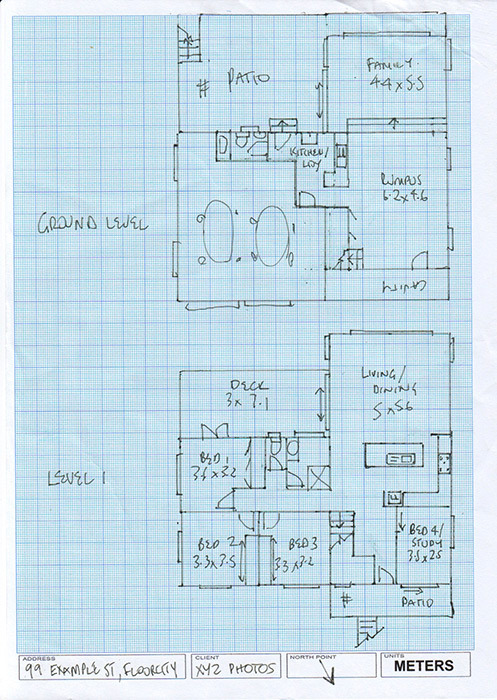 All plans are available in portrait or landscape orientation. 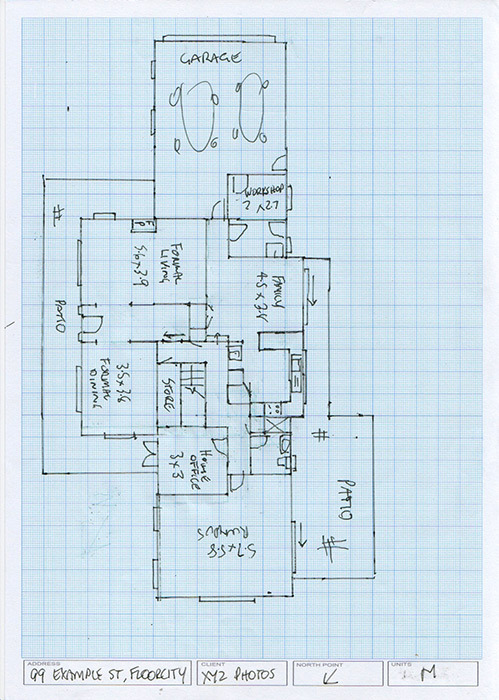 This is how your sketch should look. 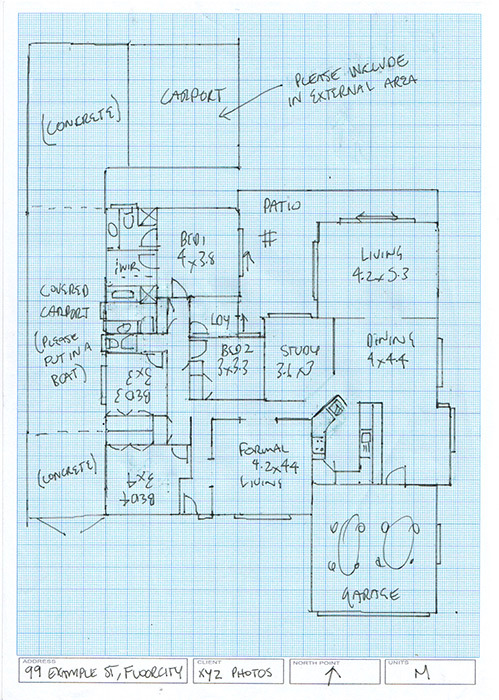 Our simple to follow and easy to use manual will have you drawing up plans like these in no time and we’ll also show you a simple trick to draw straight lines without a ruler every time!